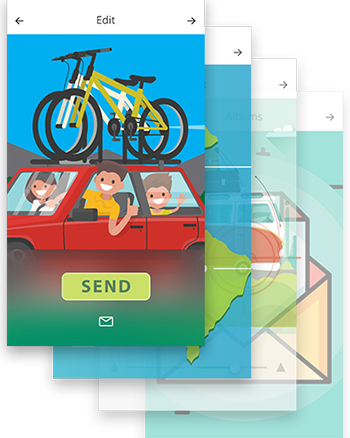 TBox City includes an innovative educational proposal that facilitates the use of multiple technological tools for students to solve real-world tasks. With this proposal, TBox advances in creative, safe and relevant use of technology to support schools in the integral formation of students. TBox City proposal deepens in the Project Based Learning methodology and takes up the TBox teaching strategy: research, explore, build and apply. The proposed tasks motivate students to explore multiple technologies and ways they can use them in different situations. The purpose of TBox City is to strengthen students Computational Thinking: combine the power of technology with critical thinking to solve specific problems. Computational Thinking allows students to achieve better learning outcomes in different school subjects, as they strengthen their higher-order thinking skills. Currently it is difficult to find an occupation in which people and technology do not interact. Through Computational Thinking students can understand how, when and where computers and other digital tools can help them solve problems more efficiently, further expands their own thinking. TBox City is aimed at students in 1st through 8th grade. The “Cambridge ICT Starters” international standard is used as a base, which proposes a path of technological areas and objectives that students must achieve. In addition, TBox City proposal uses ISTE NETS standards to integrate the skills required to students in the life and work of the XXI Century. TBox City works with the Project Based Learning methodology. This methodology is based on constructivism and has a comprehensive approach to the educational process, as it addresses the contents in an integrated and not partialized way. Significant experiences are promoted through a sequence of activities enriched with technology that allow to complete a task or solve a problem by connecting learning with the reality of students. Within the TBox City proposal digital citizenship is seen as a transversal axis in all the educational technology projects. Thus, alternatives for students to reflect and put their rights and duties as citizens in the digital age are offered to put them into practice. This transversal axis is not in a theoretical level in TBox City, as all projects incorporate spaces to address safety issues, ethics and responsibility in the use of current technology. The purpose of this transversal axis is to support students to minimize the risks that brings the use of technological tools and responsibly take its advantages. Netiquette: behavioral rules or how to proceed with electronic media. Access: full electronic participation in society. Commerce: electronic buying and selling products and services. Responsibility commitment actions in the electronic media. Rights: : the freedoms of all people in the digital world. 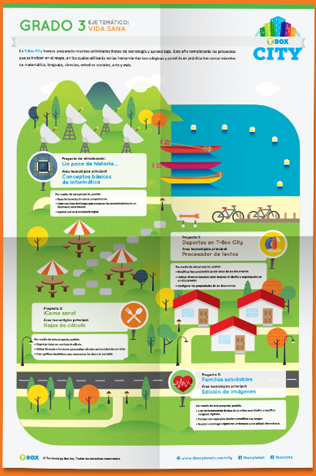 Ergonomics: physical well-being in a technological world. Risk: precautions to ensure safety in electronic media. 1. For which school grades is TBox City designed? 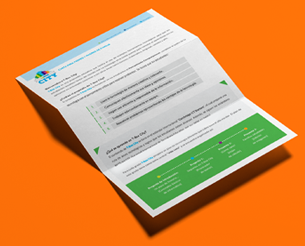 TBox City is designed to be taught in grades 1-8, reaching students ages 7-14. 2. In what languages is TBox City available? 3. How can I purchase TBox City? We carry the TBox City proposal through the schools that are part of the TBox network and that have all the technical conditions to be able to develop it in an optimal way. TBox City's educational projects are at the heart of the technology plan for students according to their grade level. 4. What does a student need to get into TBox City projects? 5. What are the technical requirements for accessing TBox City materials? Minimum resolution: 1024 x 768. Minimum screen size: 8 inches. At least 2 GHz speed processor and 2 GB of RAM are recommended on PC. 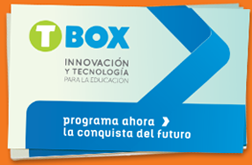 In each country, TBox works with a local partner with extensive experience in the field of educational technology. The partnership between TBox and its partners in each country facilitates timely attention to the needs of schools. Calle Circunvalación No. 43, Colonia San Benito, San Salvador. Edificio San Miguel, 4to. nivel. Barrio La Plazuela, Tegucigalpa. Escazú, Plaza Roble, Edificio Terrazas B, Quinto Piso, Oficentro Regus, #514. José Hernández 2080 Piso 23B, 1426, Ciudad de Buenos Aires.